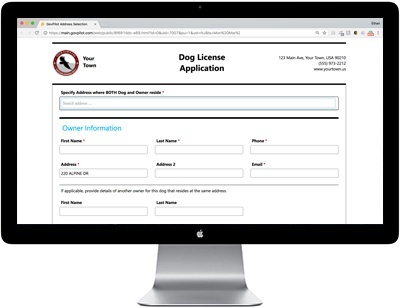 A simple, yet robust solution for managing, issuing and renewing dog and cat licenses. 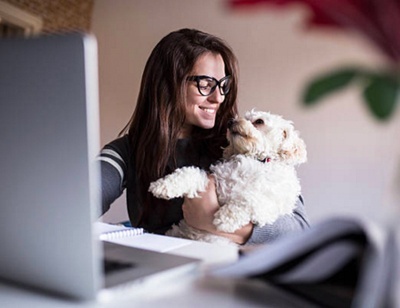 Residents can apply for a pet license online 24 hours a day. Greater convenience means greater compliance. Constituents can even pay for pet licenses online. GovPilot supports most modern payment processors. Workflow automation features instant status updates to streamline and simplify animal license registration and renewals. GovPilot links pet registration to an owner’s property data and other relevant records, so that you can consider an applicant’s history before granting approvals/renewals. Click a button and voila-an entire batch of licenses renewed! Mail Merge enables you to print finalized pet licenses in a matter of seconds.